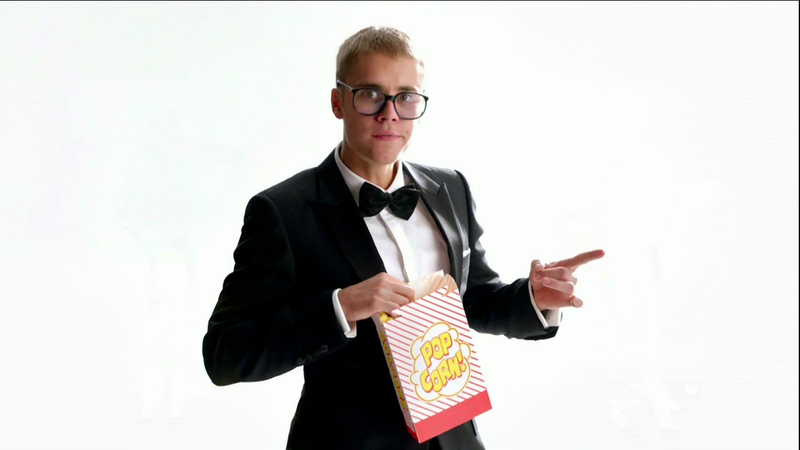 We love Bieber, but sometimes we just can’t belieb his behavior. It all went down in 2013 in a club in New York City. According to TMZ, the Biebs and his pals were leaving a club through the kitchen when he decided to defile a picture of former president Bill Clinton — oh, and pee in a bucket. Check out the video. Was this a mishap? Many on Twitter say yes! 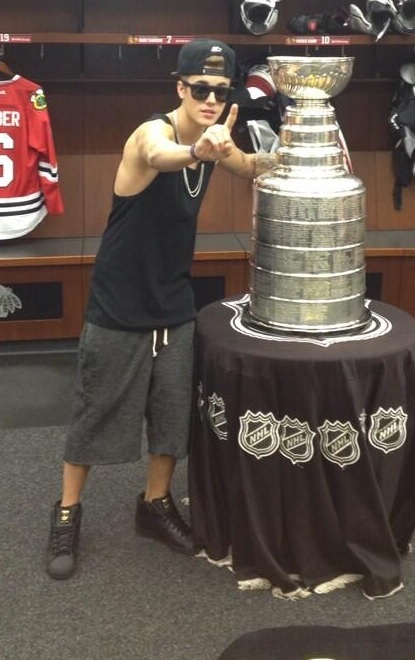 The Twitterverse was pretty angry at the fact that the Biebs posed and took photos with the Stanley Cup. While leaving a Sunset comedy club in June 2013, Bieber pinned a paparazzo between his Ferrari and another car, bringing out the LAPD to investigate. 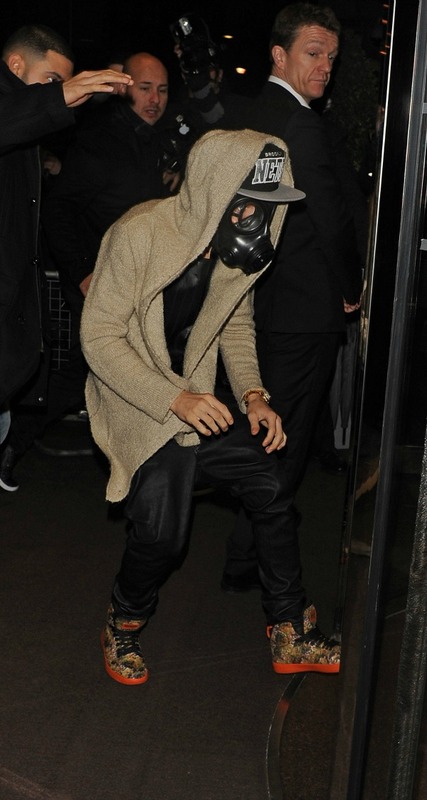 If Bieber thought wearing a gas mask would get photographers to leave him alone, he was clearly mistaken. His little scheme backfired; he not only got his picture taken but also ended up looking a little foolish in the process. What do you do when you’re two hours late for a sold-out show? If you’re the Biebs, you ditch your shirt, grab a bodyguard and make a run for it. Selena Gomez and Bieber were on. Then they were off. Then they were on. Then they were off again. Now they appear to be off for good, if Selena dancing to “Everybody Knows (Your Boyfriend Is a D-bag)” is any indication. With friends like Lil Twist, who needs enemies? 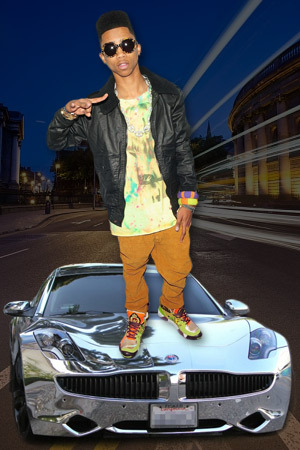 One thing you will need is full coverage on your wickedly expensive Fisker Karma, since Lil Twist’s favorite pastime appears to be jacking JB’s ride and wrecking it. Bieber was scheduled for two shows in Portugal, and in the first, he made a golden glove-wearing, crotch-grabbing appearance. Not so much for his second concert. He pulled a no-show. After trying and failing to evade photographers in a gas mask (and getting into a scuffling match with a photog), Justin seems to be waving a white flag and throwing up the peace sign. 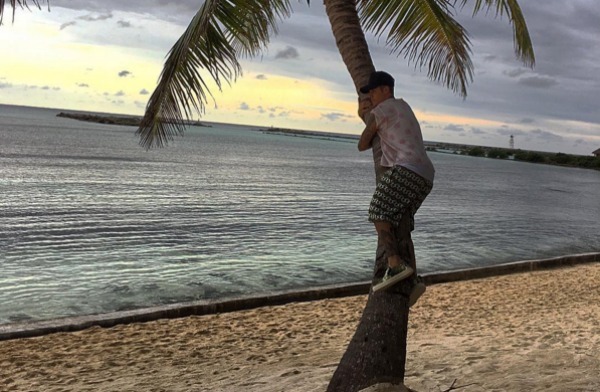 It was a bit peculiar that everyone made such a big deal out of the Biebs mooning for Instagram, since the guy’s pants are typically somewhere down around his ankles. Besides, baby butts are cute! 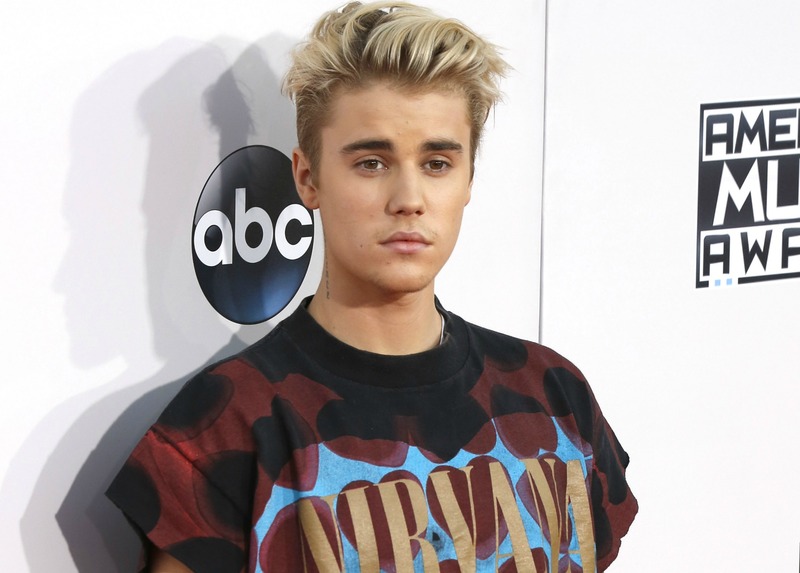 Biebe was sued by a photographer in 2013 for allegedly masterminding an attack that involved a gun. 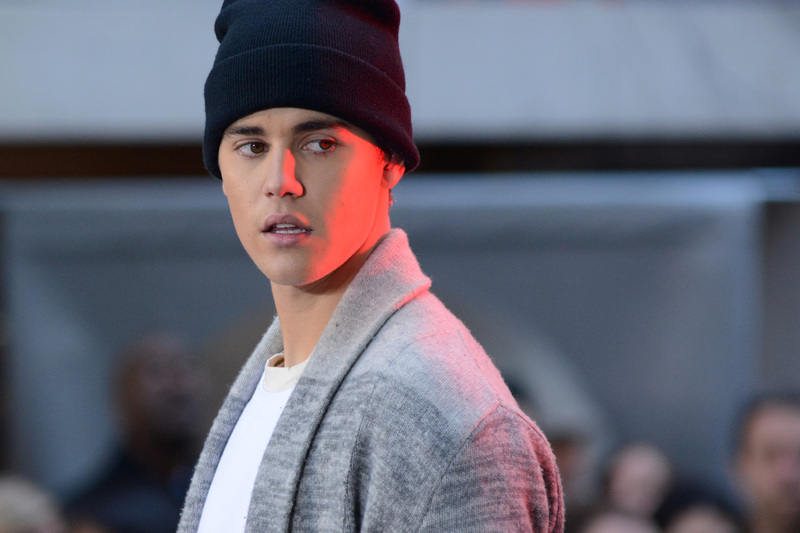 Did the Biebs and his bodyguards go too far? It seemed like Bieber was trying to educate himself about world history and the horrors of Nazi occupation when he visited the Anne Frank House in Amsterdam in 2013 — that is, until the historical site shared what the Biebs wrote in its guestbook. “Truly inspiring to be able to come here. Anne was a great girl. Hopefully she would have been a belieber,” he wrote. Needless to say, scores of people were offended and couldn’t believe that Bieber was self-absorbed enough to leave such a comment. 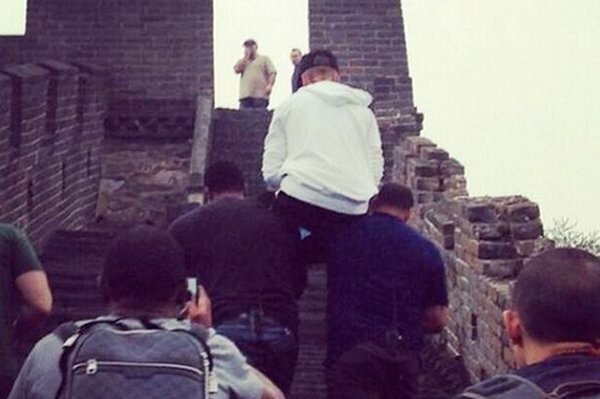 Later that same year, Bieber raised eyebrows when he made his bodyguards carry him up the Great Wall of China, seriously offending the people of Beijing in the process. A shocked citizen caught a video of Bieber in 2014 driving his new three-wheeled motorcycle over the curb onto a sidewalk, narrowly avoiding people on foot, including an elderly woman with a walker. After bypassing a busy intersection, he swerved back into traffic and proceeded to act like he hadn’t done anything illegal or even out of the ordinary. 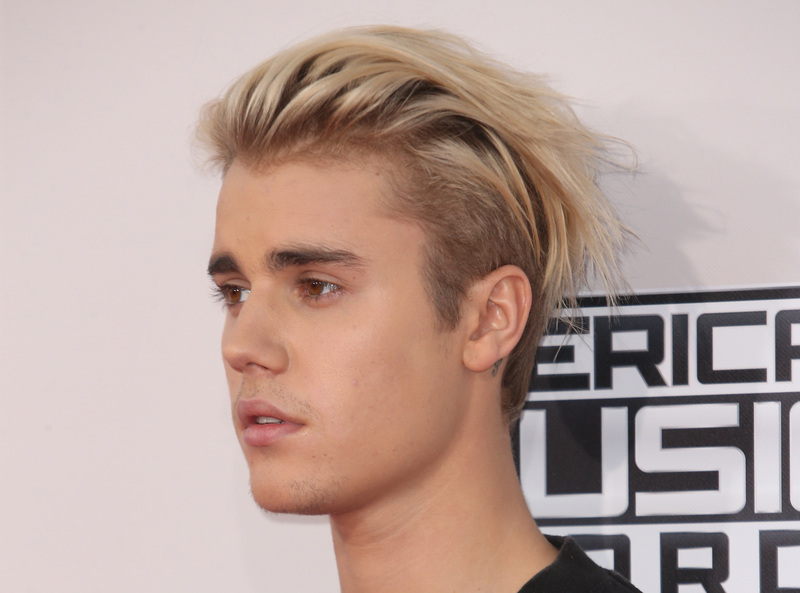 Bieber angered locals in January 2016 by, once again, desecrating a national monument. He was vacationing in Mexico when he angered officials at the ancient Mayan temple ruins by climbing to the top of the site, pulling down his pants and mooning everyone, according to TMZ. Bieber and his crew also showed disrespect by mouthing off to staff at the ruins and walking around with open beer bottles. 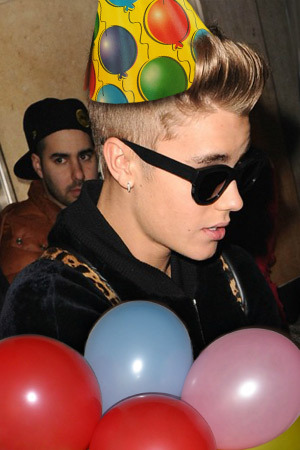 Police were called and Bieber was asked to leave. While Bieber was in Barcelona to perform, a man ran up to his car, stuck his hand through the window, touched Bieber’s chest and then got punched. In the video, you can see he’s clearly shocked. In 2013 in Buenos Aires, Argentina, Bieber allegedly ordered an assault on a photographer and stole his camera and cash. In December 2016, he was finally indicted. According to TMZ, his lawyers plan to appeal the indictment.